Fresh Squeezed Lemonade - made from Scratch! 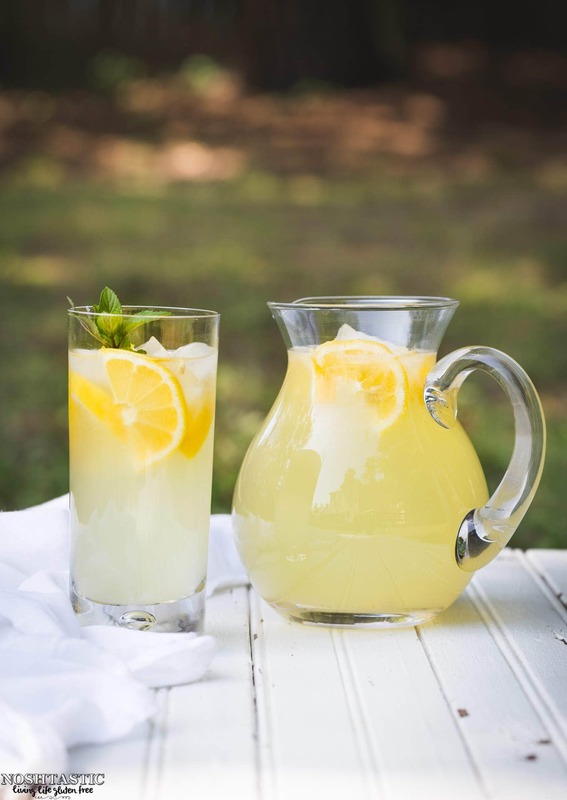 Fresh Squeezed Lemonade will knock your socks off and you’ll never go back to store bought again! It really is a total game changer and with a really good citrus squeezer you’ll be able to make a batch in next to no time! There’s really no comparison between homemade lemonade and using the powdered mix stuff or even the nicer lemonade from the chiller section. 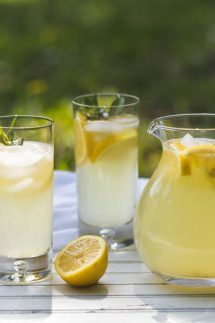 My recipe for Fresh Squeezed Lemonade is very quick to make and invloves making a simple syrup and squeezing some lemon juice and that’s about it! 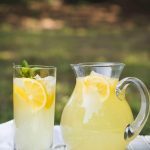 This is such an easy recipe and there’s nothing like good old fashioned home made lemonade to brighten your day! This recipe is best made with real lemons rather than the buying bottled lemon juice. Step 1 – Add the the sugar into a heat proof jug and add the boiling water and stir until the sugar dissolves. If you don’t have a heat proof jug, then just add it to a pan and you can put it in the jug to serve when it cools down. Step 2 – Now add some cold water and/or ice cubes to dilute it and cool it down. Step 3 – Next, add the freshly squeezed lemon juice. Step 4 – Now you need to taste it to see if it’s to your liking, some people like it a little tart, and others like it very sweet. You can dilute it with a little more water, or add more lemon juice and sugar to taste. Step 5 – It’s best served cold over a little ice, though I don’t like too much ice as it just dilutes it even more, enjoy! How many glasses of Fresh Squeezed Lemonade will this recipe make? The amount in my recipe will make about four glasses of lemonade, so you can adjust it up from there if you need to. You can easily double or triple the recipe, that will work well too. One thing that I’ve found makes prepping larger batches of lemonade so much easier and faster is using a small inexpensive electric juicer. It can squeeze a big bag of lemons in next to no time and it’s a pretty small gadget so it doesn’t take up a ton of storage space in your kitchen, plus it’s a million times easier to clean than my big juicer. 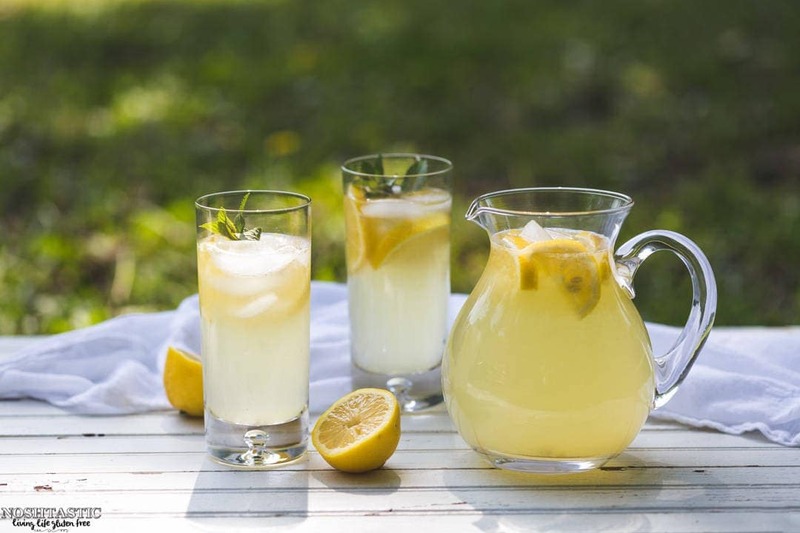 You will need to store your Fresh Squeezed Lemonade in the fridge if you are making it ahead of time, and of course it’s best served chilled. And if you really, really, can’t be bothered to squeeze lemons by hand you could compromise and use bottled lemon juice. Bottled lemon juice will make lemonade that is still better than the off the shelf variety, but nothing beats using freshly squeezed lemons! Electric Citrus Juicer – this is a super little tool which will makes squeezing a big bag of lemons a breeze! Glass Pitcher – This one has a lid to keep the bugs out! Coconut Sugar – want to make this a little healthier? You can use coconut sugar instead. The color of the lemonade will be different though, but still taste great! Star Wars Ice Cube Tray – ok, not needed for Lemonade, but my boys love these fun ice cubes!! 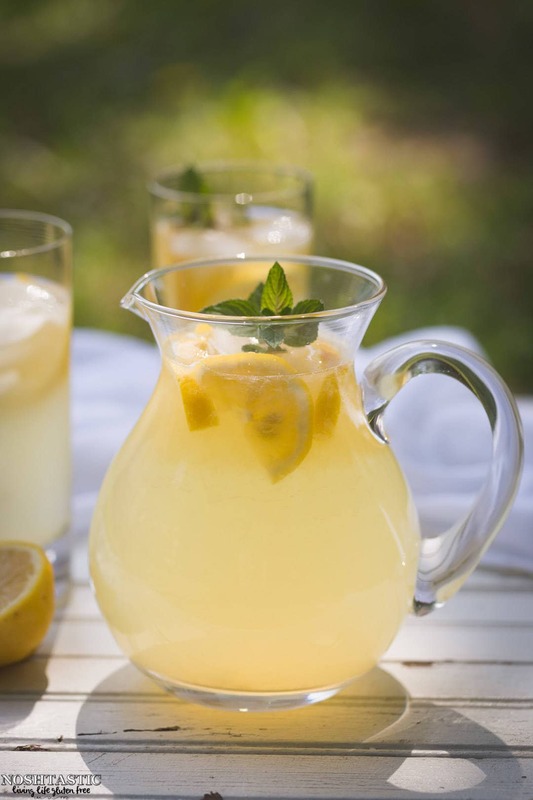 A quick and refreshing fresh squeeze lemonade recipe! Watch the recipe video, it's right below the directions! Add the sugar into a heat proof jug along with the boiling water, stir until the sugar has fully dissolved. Add four cups of cold water to dilute it, then add the lemon juice and stir. add more to water if you need to according to taste. Add more to water and ice according to taste. I’ll need to try it with the gin! I’ve been using this recipe for a year now and it’s perfect! Very easy and the amount of sugar is right on. Thanks for the recipe! Wonderful Wendi, I’m so glad you like it! Made your lemonade today and it was DELICIOUS! Thank you for sharing the great recipe. I shared the recipe on my blog. I will have to try the gin suggested from above on my next lemonade batch! Could I use Splenda instead of sugar? If so, how much would you use? Hi Lynn, I’m sure you could use Splenda instead but I’ve never used it so I don’t know how much. I bet it will tell you on the side of the Splenda container how much to use spoon for spoon in place of regular sugar, I might try a tad bit less than they suggest and adjust it up from there to taste. Oh my!! I just made this…sugar to water to lemon ratio is dead on! I think I used 1 whole 2lb bag of lemons. I have a big Pyrex bowl (8 cup) and put water and sugar in that and stuck into microwave for 8 min…whalaa! No boiling needed! Let it cool while I squeezed lemon juice out of lemons. Always roll your lemons a couple times with your hand on counter to loosen up pulp for maximum juice! Delicious recipe! My summers will never be the same! 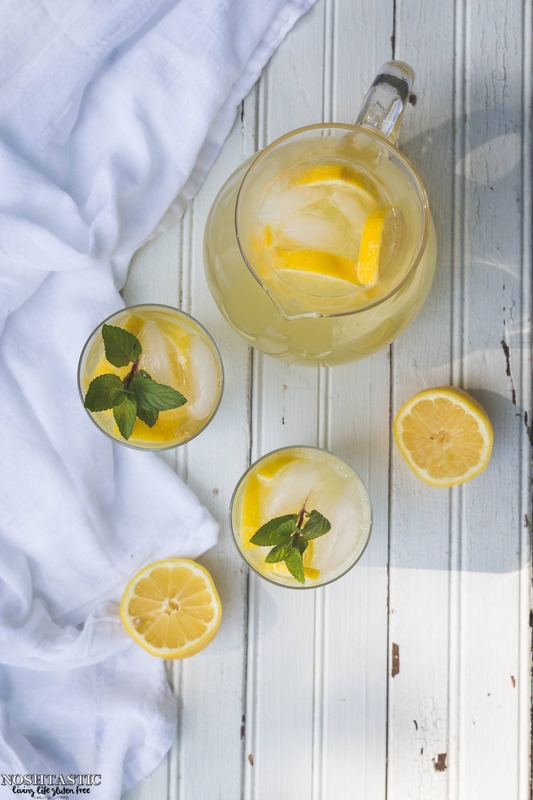 We loved your homemade lemonade recipe so much! Hi Erin, I’m so glad you like the lemonade recipe! First time making fresh squeezed lemonade and OMG we love this recipe is perfect. I’m so glad you love it!! You are right, best lemonade I have ever made!